In his first address on his release from prison Nelson Mandela saluted Ashley Kriel who, amongst others, have paid the ultimate price for freedom for all South Africans [11 February 1990]. 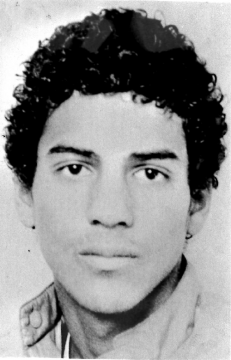 Ashley James Kriel is recognised as the quintessential representative of student and youth leadership of the 1980s from the Cape Flats in the Western Cape. He was born on the 17th October 1966 as the youngest child and only son of the late Ivy and Melvin James Kriel, who was killed when Ashley was six years old. He had two sisters, the eldest Michel Assure and Melaney Adams. He grew up in Bonteheuwel, a working class township on the Cape Flats in Vlamboom road. It was established in the 1960s as a new home for the victims of the Group Areas Act, especially those forcibly removed from District Six. He started his primary school education at Central Park Primary School Bonteheuwel where he completed grade eight. Ashley continued his high school career in 1981 at Bonteheuwel High. He spent the following year at Athlone High School. In 1982 he resumed his studies at Bonteheuwel High where he remained till 1985. Bonteheuwel has been home to many criminal gangs. In the early 1980s Ashley and two of his best friends, Gavin Adams and Paul Jansen responded to the allure of gangsterism by establishing initially an alternative called the GAP brotherhood, the acronym constituted from their three initials, and it became so popular that the GAP sisters and company were formed. As the name also suggested, it opened up a gap for young people to become cool cats rather than criminal gangsters and thereby forging a different, positive identity. According to his high school science teacher, Mr Raymond Eksteen, Ashley excelled in Mathematics and Science. In 1984 he attended the Cape Argus Winter School for Science. Afterwards, according to his sister Michel, he remarked to his mother, “Mammie, dit wys ‘n mens net as jy geld het kan jy beste professor kry” [Mommy, it shows that if one has money one can obtain the best teachers]. Furthermore, as an Afrikaans mother-tongue speaker he had a good command of English. Mr Eksteen, admits his colleagues viewed him as a conservative teacher, was clearly bowled over by Ashley’s charm, breadth of general knowledge, being a voracious reader of espionage, science fiction and adventure stories and being an engaging conversationalist. He also demonstrated his analytical skills, intelligence and strategic thinking in playing chess. When Nelson Mandela visited the missionary village of Genadendal in 1995, he held up the example of Ashley, who attended the Moravian Church Youth camp in 1984, when he urged the youth of Genadendal to emulate him as a fighter against racism [Genadendal 10 October 1995]. Ashley was an accomplished public speaker who honed his oratorical and people skills in the student and youth movements, Bonteheuwel Inter-Schools Congress (BISCO), which was formed to coordinate the activities of the student representative councils(SRCs) of Arcadia High, Bonteheuwel High and Modderdam High Schools and Bonteheuwel Youth Movement, BYM, (an affiliate of the Cape Youth Congress, CAYCO). Ashley exhibited an eagerness to learn by his willingness to assume leadership responsibilities. Despite the massive boycott of the tri-cameral elections in September 1984, the Botha regime maintained that it had received a mandate to implement its tri-cameral system of government which excluded the vast majority of our country’s citizens. Ashley and a number of youth and civic activists viewed that as a grave development. They engaged in intense debate exploring different options in order to continue to live meaningful lives. Finally, they established a network of revolutionary militants drawn from the youth, student and civic movement in the Western Cape. 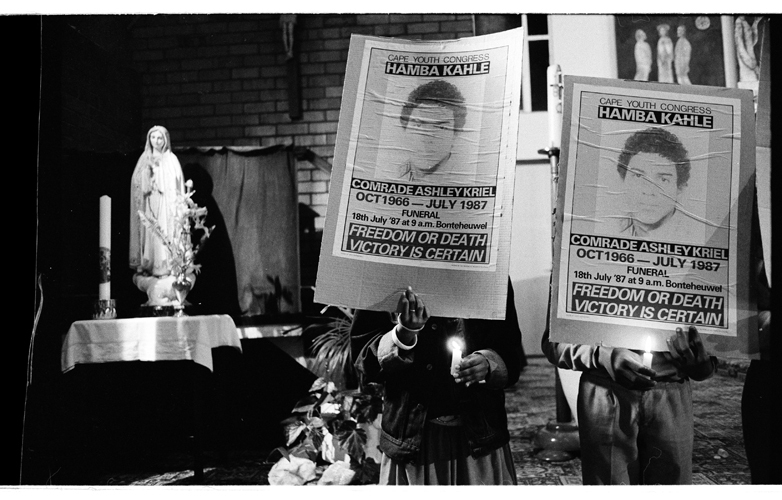 In July 1987, the security police tracked him to a house in Hazendal, Athlone where he was shot in the back and died. 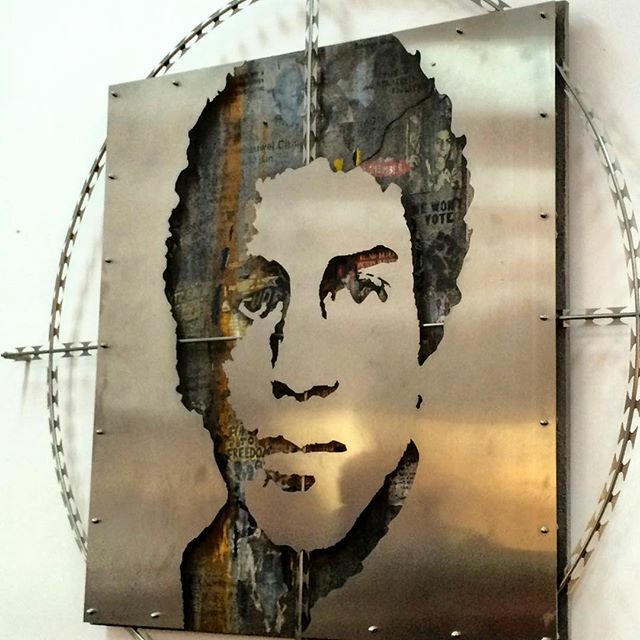 Ashley James Kriel was an active change agent who must be understood in his own right. Moreover, he was a example / model of a socially aware youth and student who enjoyed school, being a member of a working class family, having friendships and making serious choices.